Posted on Tuesday, February 28th, 2017 at 5:30 am. When I started my Instagram account, I had no purpose or strategy. Sure, a few people started following me, but I wasn’t building a real community there. Then I saw brands taking a big interest in the platform and realized it was taking off as a legitimate social media gathering place. When I attended pet blogging conferences and special events, I wasn’t just seeing bloggers anymore. People who had made it big on Instagram, and were only on Instagram, were also seen as coveted influencers to work with. For the past year or so, I’ve been focusing my time and energy on Instagram. I set out to study the best practices and find out what the most successful accounts were doing. What I realized was that many of the core tools I learned to grow my blog also applied to Instagram. 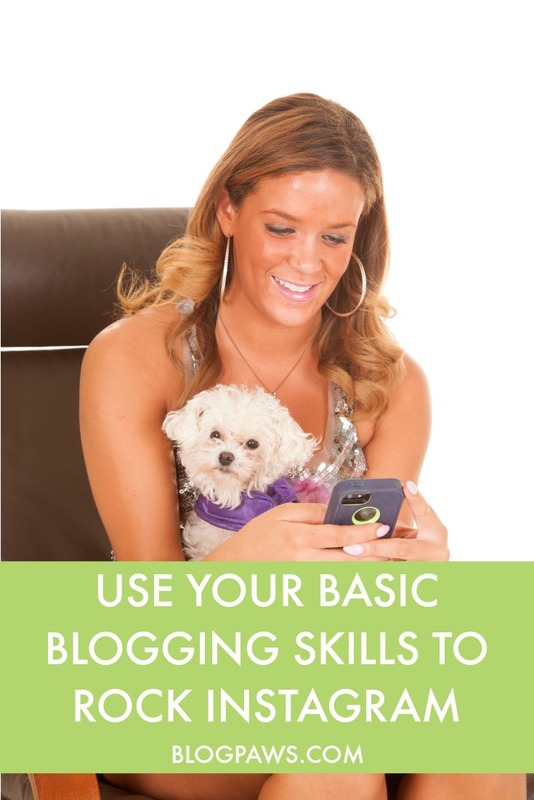 Since I already knew the “blogging basics,” the trick was learning how to successfully apply those to Instagram to create a larger, more engaged community. After a solid year of effort, I can proudly say that I’ve doubled the size of my Instagram community. I’ve also surpassed the typical engagement rate on the platform (2-6%) by three to four times. Like a blog, if you are trying to talk to everyone, you end up talking to no one. When people come to your profile to decide whether they want to follow you or not, they take a look at your photo gallery to see what they can expect from you. Ask yourself what you want to be known for. By being specific about what you offer, you will speak to the right people and, in fact, likely attract more followers. 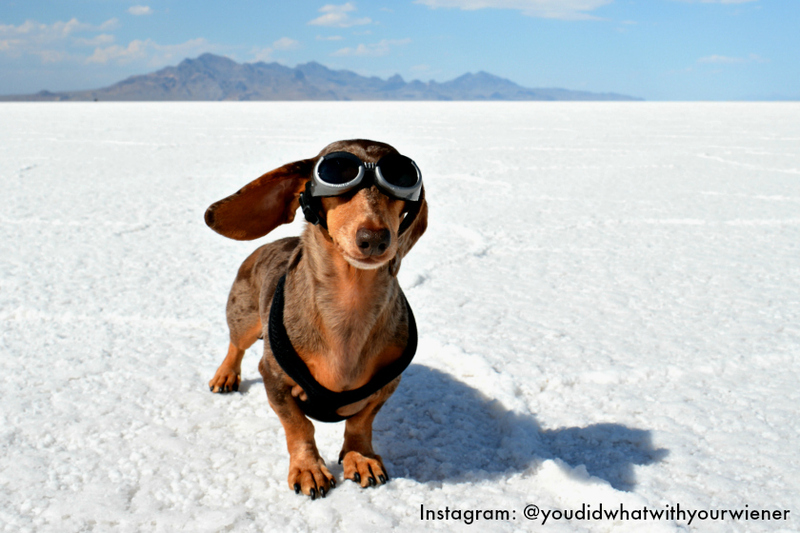 For example, my “thing” on Instagram is small dogs against beautiful, natural scenery. Bernard from Dog and His Boy, grew his Instagram following by 25% in one month by focusing primarily on Miami street art and the local community. On a blog, great images are key, but you also use words to draw the audience in. On Instagram, photos are pretty much all that you have. The accounts with the most followers have crisp, in-focus, consistent-looking images (colors and tone). It’s clear they put real effort into their photography. In my opinion, it’s better to post fewer high-quality images than post your blurry or boring images just to get something up. Finding your “tribe” is key to growing a strong community. You know what I’m talking about. It’s like finding the BlogPaws community and feeling like, “Finally… people who get me!” Seek out people on Instagram with similar interests and who post photos similar to yours – similar themes, not just “pets.” For example, find people with a similar sized dog, the same breed of dog or cat (if you have a mixed breed, look for a similar category like “rare” or fluffy), or dogs who do a similar activity. For me, it’s people with dogs who like to hike and Dachshund owners. People want to feel valued and heard. Just like on a blog, be sure to reply to your comments in a timely manner. Responding within an hour is strongly preferred, but less than 24 hours is acceptable. Be sure to tag them in the reply by using the “@” symbol and their account name so they know you are talking directly to them. What’s great is that Instagram recently rolled out the ability to like a comment. If I’m short on time, I at least like every substantial comment to acknowledge it. Also, get your name out there by engaging with people who don’t already follow you. Search hashtags related to your niche, engage with the photos you like, and follow those accounts that pique your interest. Some of my favorite hashtags are #campingwithdogs, #bestwoof, and #hikingwithcats. People want to know how often and when they can expect to see content from you. You want to avoid them not seeing your photos for weeks then suddenly seeing seven in a row. They might forget about you if you don’t post (which could result in them seeing you less because of the Instagram algorithm) and clogging their feed can easily get you unfollowed. I recommend posting a minimum of three times a week and a maximum of three times a day. If you don’t post every day of the week, just make sure to spread them out. Have fun! While you should learn all you can and have a strategy, it’s ultimately about enjoying the time you spend on Instagram. Just like blogging, if you’re not having fun you’ll burn out and possibly question why you are doing it in the first place. Do you have a successful Instagram tip to share with us? Jessica is a Social Media Consultant at PetTalk Media and a professional blogger. Her blog, You Did What With Your Wiener?, won two Nose-to-Nose awards for Best Pet Blog Design and Best Dog Blog. When Jessica is not working or writing, you will find her hiking all over the mountains of Washington State with her husband and two miniature Dachshunds.